5 Must-Try Creative, Iced Drinks in Downtown Phoenix - Downtown Phoenix Inc.
There’s no denying it — summer is here, and it brought some thirst-inducing temperatures with it. Fortunately, Downtown Phoenix bars, cafes and restaurants have a solution. They’re keeping things cool with delicious ice-cold cocktails and iced coffee and tea drinks all summer long. 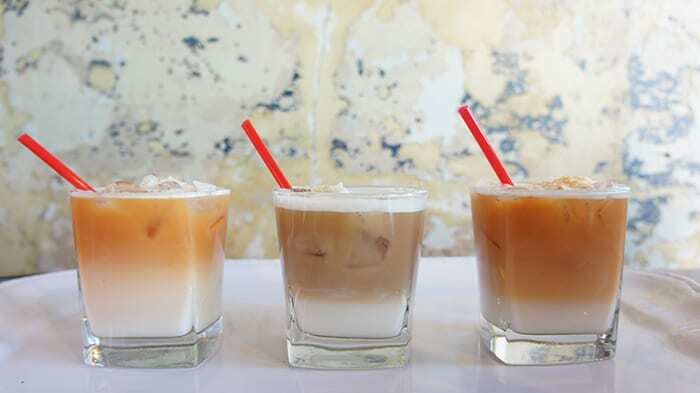 Here are a few must-try iced beverages for those desert-hot summer days. One of the newest ventures in Downtown Phoenix, Tea & Toast Co.’s menu features a plethora of iced tea options, one to suit every palate. However, the Black Rose Macchiato, pictured above, is just about everything you could ever want in an iced drink: creamy and caffeinated with just a touch of sweetness. The drink features their Manhattan black tea blend with a touch of rose and dash of cold milk, of which there are several non-dairy options available. All of their tea drinks are prepared using concentrated tea shots – like espresso – giving the Black Rose Macchiato a rich, full body flavor that isn’t diluted by the milk or rose flavor. 915 N Central Avenue — Monday – Thursday 6:30 am – 9 pm; Friday – Saturday 6:30 am – 11 pm; Sunday 6:30 am – 9 pm. This delicious cocktail, named after Phoenix Councilwoman Kate Gallego and her husband U.S. Representative Ruben Gallego, is a go-to drink on a warm summer night. Cruzan Rum melds well with three kinds of juices – pineapple, lime and Arizona & Co. Passion Fruit – while Campari balances the drink, preventing it from being overly sweet. 130 N Central Avenue (basement) — Monday – Friday 4 pm – 2 am; Saturday – Sunday 6 pm – 2 am. Everybody’s favorite drink just got better. Nitro Cold Brew coffee is a new addition to Songbird Coffee & Tea House, and it’s definitely a creative take on what’s become a go-to summer drink. 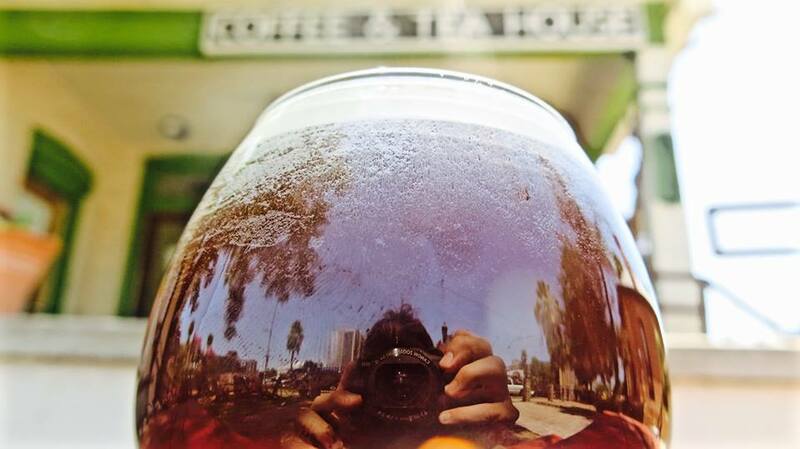 Nitro Cold Brew gives a beer-like quality to coffee: It’s cold and a little bubbly with a rich head of foam. When treated with Nitrogen, cold brew coffee becomes velvety, creamy and almost sweeter. 812 N Third Street — Sunday – Thursday 7 am – 7 pm; Friday – Saturday 7 am – 10 pm. This Mediterranean-style restaurant is beloved by students and downtown workers for its healthy wraps, salads and juices, but their lemonade might be one of the best items on the menu. Like any good lemonade, it’s not overly sweet. But what makes this iced drink really stand out is the chopped, fresh mint, which though subtle, adds some much-appreciated kick to an otherwise traditional drink. 555 N Central Avenue — Monday – Friday 8 am – 4 pm. 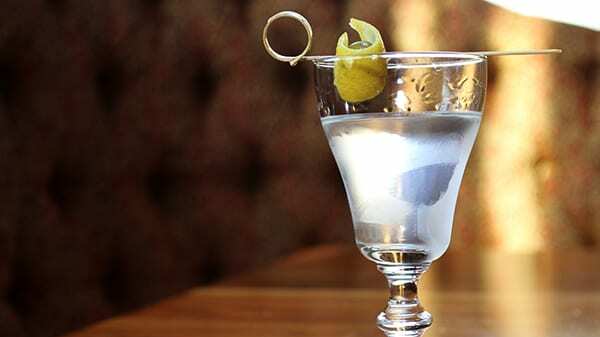 This simply perfect martini at Bitter & Twisted is a classic, and at a freezing 10 degrees Fahrenheit, it’s a tasty way to escape from the heat. 1 W Jefferson Street — Tuesday – Saturday 4 pm – 2 am.